A gift for the woman in your life who deserves a BIG thanks for being an exceptional mother. Be it your baby mama, your BFF who just became a mum or your Gran – let’s face it, she deserves something sweet. This Mother’s Day gift box contains 3 hand curated pairs of Egyptian cotton MS SOUS socks and 2 Sweet Mickie cookies with Mother’s Day messages. The perfect gift to remind them that they’re not a regular mum, they’re a cool mum. MS SOUS are Australia’s first dedicated women’s sock subscription. 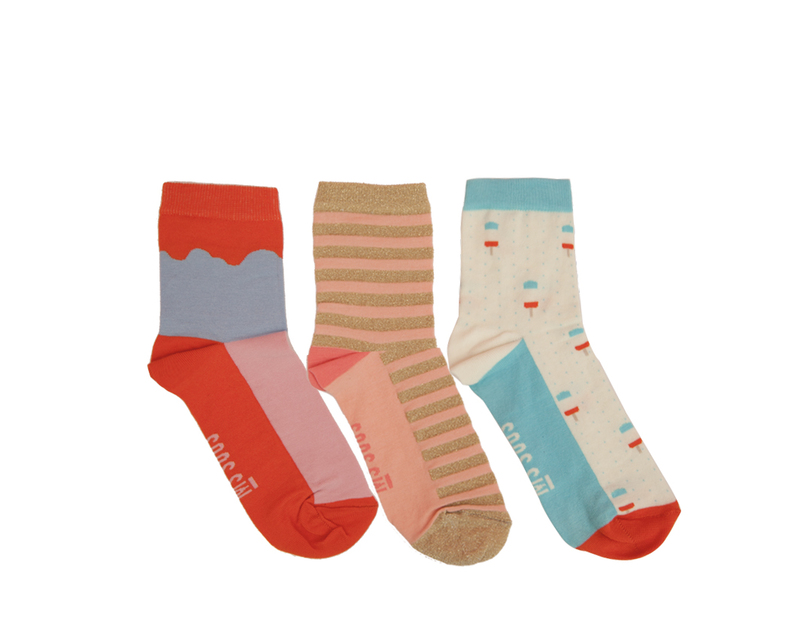 Founded in the belief that your life isn’t basic, so your socks shouldn’t be either — they’re designed in Australia and made in Egypt using 100% Egyptian cotton. Sweet Mickie cookies were founded by Emma in 2015 to make people laugh and feel good (after all, you can’t eat flowers). Hand rolled, cut and baked in Melbourne by a team of cookie connoisseurs. *Please note all cookies may contain traces of nuts and peanuts, and they are not suitable for vegans. Ingredients can be viewed on the Sweet Mickie website and on the outside of cookie packaging.